This week I had a couple of exciting deliveries. In my "Hello 2016!" post, I mentioned that I'm committed to using what I have in my stash. However, I knew at that time that I would be buying some of Carkai by Carolyn Friedlander with a birthday gift card to Hawthorne Threads. I just had to wait until it was in stock, which finally happened last week! Yay! I chose half yards of colors that I lack in my stash (those top left blues and greens - swoon!). I bought one yard each of the top green and white on white. I'm not using them for any specific project yet. The three on the left, bottom row are extra purchases I used to round out my gift card money: Knotty in Grape from Macrame by Rashida Coleman-Hale (so me), Pearl Bracelets in Anchor by Lizzy House (a re-buy - color I love), and Austen Text in Black from Ardently Austen by the Quilted Fish (Pride and Prejudice is my favorite book, so this addition to my low volume stash was a must!!). 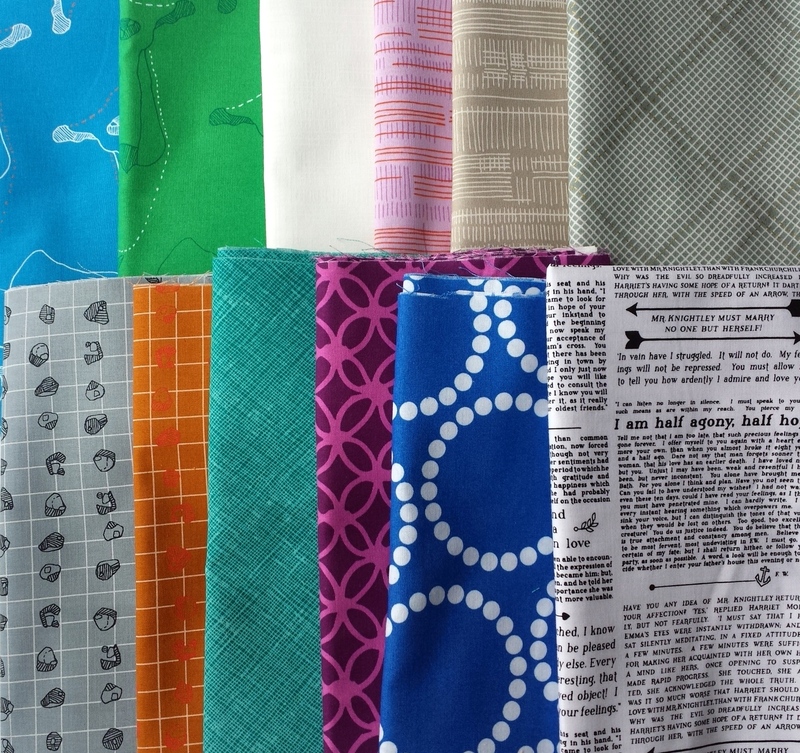 Also, I had a delivery of gorgeous solids from Northcott Fabrics. This will be a bit of secret sewing to be revealed in February. Their solids are super soft, and I love the range of hues available from the Colorworks Premium Solids 9000. 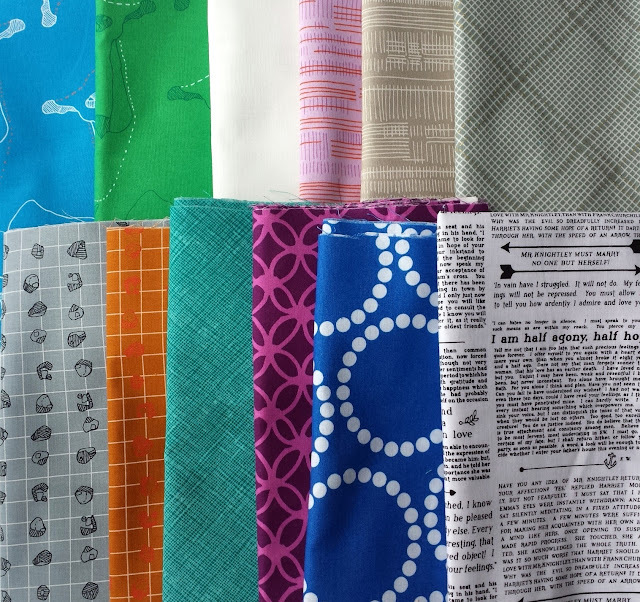 Cheers to a sewing and stash-filled Sunday! P.S. My sister just went back to college and I'm sad. 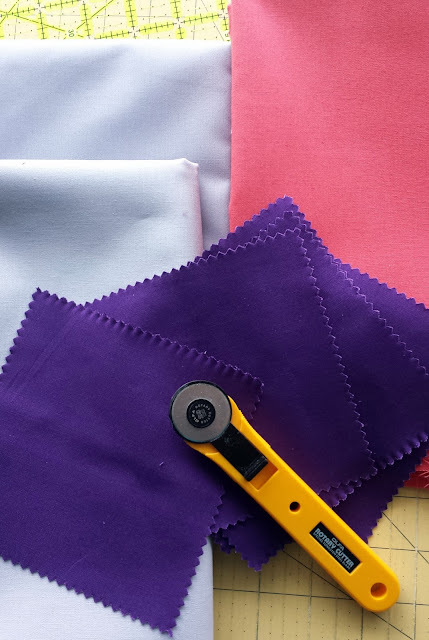 However, we commemorated the end of winter break by conducting an interview about sewing on Periscope. Check it out below! 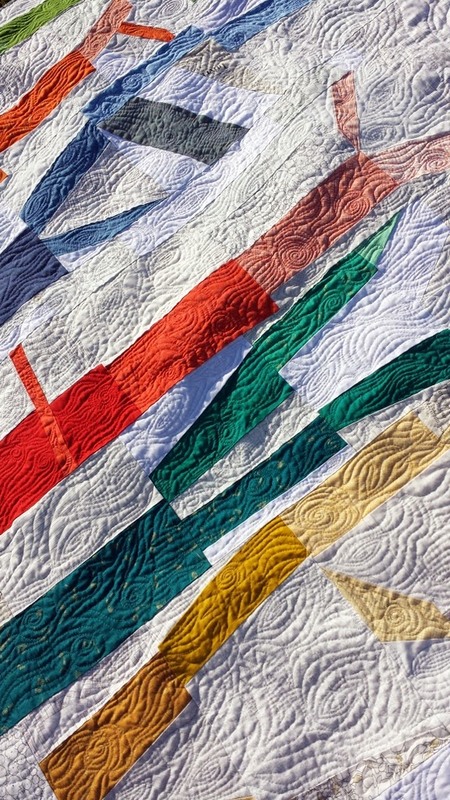 Beautiful choice and the quilt is fantastic.Happy sewing! Congrats on Home going to QuiltCon. If I was going, I would take a pic for you! Great additions to your stash by way of gift card! Sweet video of you and your sister. My twins will be going off to college next year (we don't know where yet, but definitely different schools because they have different interests). If you think you'll miss your sister, imagine having two children going off at once. Yikes! Her lack of interest in sewing reminds me of the time I had an extra (nothing special) sewing machine I was trying to find a home for. I asked my niece if she wanted a sewing machine, and I received a loud, immediate, "No!" Then she tried to backpedal a bit because she realized she sounded rude, but I thought it was hilarious. And hey, why should they want to sew when we'll make fun things *for* them?